When any of us decide to relocate, we’re all looking for places that suit all of our needs. Of course, for some of us, this means certain special amenities, that the general public doesn’t need. And war veterans are precisely such a group. Let’s face it – the people who defend our country can’t just live anywhere. At the end of the day, you need a place where you’ll fit in the best according to your way of life; and the same goes for veterans. So, the question is – which are the best cities for veterans in the US? Don’t worry – Verified Movers have all the answers right here! What happens to veterans after the military? Once our best and bravest leave their military life behind, they’re retiring much, much earlier than in most other professions. It’s no surprise, really – most people who work in the military retire from the armed forces before they’re 50. Truly, this is a noble profession – but saying that it’s also stressful would be an understatement. So, it’s not strange that people from the military retire at a younger age. But, with that in mind, the question is: what to do next? Of course, there’s no definite answer to this that would fit all veterans – they’re as diverse in every way as any group of people. The possibilities are almost endless – as long as you’re in the right place. Which is why figuring out what the best cities for veterans in the US are is important; a long distance move may be needed! Some of them settle into the retirement and start dabbling in all of the hobbies they’ve neglected for years, or even decades. On the other hand, many just dedicate themselves to the careers they had before the military. Okay, let’s start off with the most obvious choice regarding the best cities for veterans in the US – San Antonio! So, you must be wondering – why is this our very first choice? Well, first of all, when you’re looking to start a new life, you want a place that’s got plenty of opportunities. And let’s face it – San Antonio definitely fits that bill. After all, we’re talking about the second biggest city in all of Texas! So, for those veterans who are looking to devote themselves to other careers after the military – you won’t have problems finding a job here! 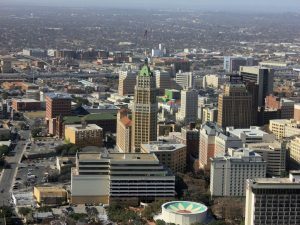 San Antonio is definitely one of the best cities for veterans in the US! And even more importantly – this city is one of the biggest military hubs in the entire United States! There are many military bases and installations in the surrounding area, and much military personnel lives here. Of course, you must be wondering – why should veterans be looking for cross country moving companies Texas because of this? Well, quite simply – we all want to fit in. For veterans, doing that is easier in a place that’s got many former and current members of the military. And San Antonio has so many of them that it’s nicknamed Military City! Speaking of places where veterans fit in nicely – let’s move a bit more to the West! Or more precisely – to the gorgeous city of Colorado Springs! This is the second-biggest city in the state of Colorado, so the community is big enough to support any personal ambitions veterans may have. But this isn’t the only reason why Colorado Springs is one of the best cities for veterans in the US – not by a long shot! 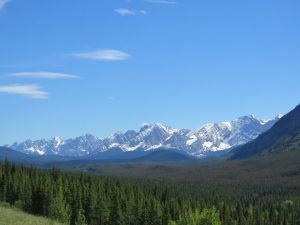 Who wouldn’t want a beautiful view of the Rocky Mountains? For those of our veterans who want to continue working after their retirement from the armed forces; this is a great place! Why? Well, because not only does Colorado Springs boast a strong, stable economy; but a lot of it is based on the defense industry! This is why more and more veterans are hiring long distance movers Colorado Springs. So, even though your fighting days are behind you – why not consult the varied industries that support the US military? Of course, we realize something – career choices aren’t the only thing that drives our veterans when they search for a new home. After all, no matter what you do for a living – work isn’t everything! You’ve got to make sure that your new home fits your lifestyle in other ways as well. And that’s where Colorado Springs truly shines! Because think about it – what are the obvious staples of a military lifestyle? Consider it – there’s no bigger one than healthy living and physical fitness. 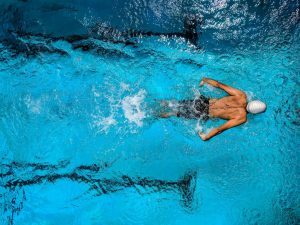 Colorado Springs has all the sports amenities you need! This is precisely why you’ll be happy to hear that Colorado Springs is one of the all-time great American sports hubs! It’s where the training center for the US Olympic Team is – in all kinds of different sports! Which means cutting-edge facilities for those inclined to spend time on fitness. Also, let’s not forget all of the amazing hiking trails that the surrounding countryside provides! Finally, we’ve got one of the greatest cities for veterans in the US that people often forget – Raleigh, NC. Sure, when you look at the surface, the capital of North Carolina isn’t a really obvious choice. But once you take a look at a few different metrics, you realize that hiring cross country movers North Carolina isn’t a bad idea for veterans! First of all, the veteran population there has been steadily rising, which is obviously a good indicator. But also the general employment rates, as well as the more specific veteran employment rates, all point to the same thing; people from a military background are definitely finding their place here!